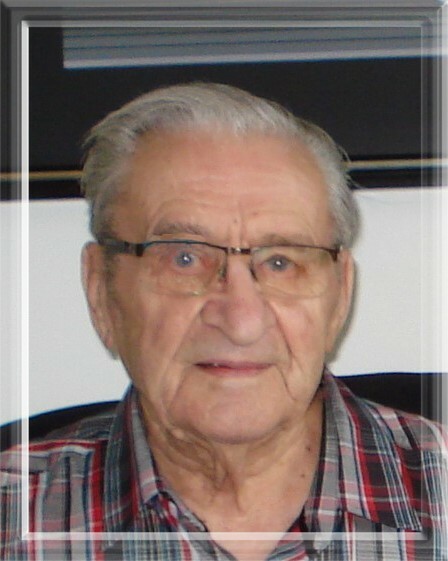 Obituary for Nestor Edward Wulowka | Swan Valley Funeral Services Ltd.
On December 19, 2018, Mr. Nestor Wulowka of Swan River passed away at the age of 91 years. Nestor was survived by his loving wife Gail of 57 years, son Michael (Leslie) of The Pas, daughters Gerri (Dave Huculak) of Bowsman, Marci Schoenrath (Bruce) of Swan River and Cheryl Anderson (Paul Bergman) of Bakers Narrows. Nestor had eleven grandchildren and seven great grandchildren; along with two sisters Elsie Merkley, and Diane (Don White); and many nieces and nephews. Nestor was predeceased by his parents Michael and Irene and nine brothers and sisters. In 1932 at the age of five Nestor arrived in the Swan River Valley with his mother and several siblings from Ladysmith, Manitoba where they joined his father and two siblings who had arrived ahead to settle their homestead. Nestor had many jobs when he was young, but excelled as a plasterer and became qualified in his trade in 1956. In 1965 he became a professional contractor until he retired in 2001 with his last job in Swan River being the Cook and Cooke building, after which his son Michael continued with the business. Growing up, Nestor enjoyed many athletic activities, especially baseball as a pitcher. He also loved the outdoors and nature. He spent years hunting, camping and fishing with his family. In his later years, Nestor loved to go on scenic car trips and picnics, doing puzzles and playing cards. In keeping with Nestor’s wishes cremation has taken place and no service will be held at this time. Should friends so desire, donations can be made in Nestor’s honor to the Swan River Valley Health Auxiliary.